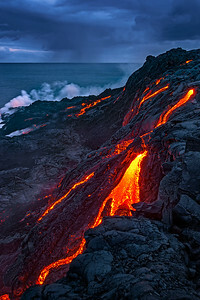 Ocean entry of August 2016 Puu O'o lava flow. 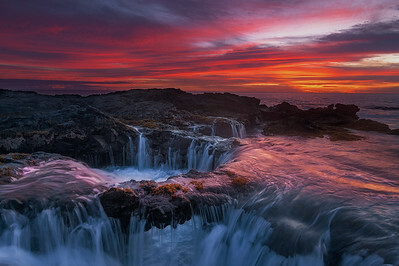 Kalapana, Hawaii Island. 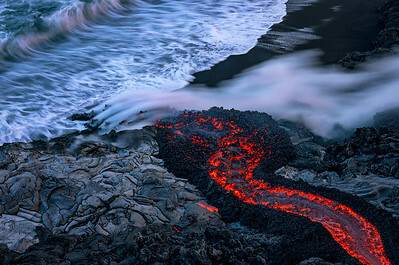 Moody sky, sea, and lava. Pu'u O'o lava flow of August 2016. 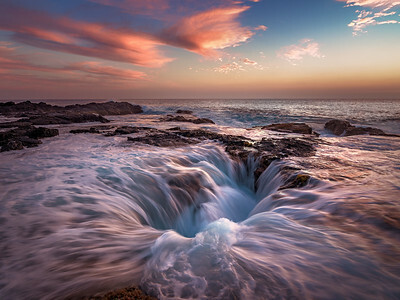 Kalapana, Hawaii Island. 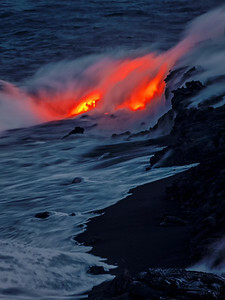 Beach entry of Pu'u O'o lava flow. Kalpana, Hawaii Island, August 2016. Akaka Falls shot early in the morning before the hordes of tourists arrive. 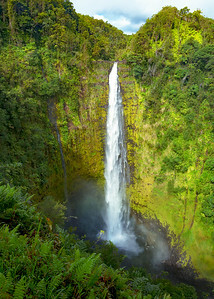 Plummeting 442 feet into an eroded gorge, beautiful Akaka Falls is perhaps Hawaii Island's most famous waterfall. 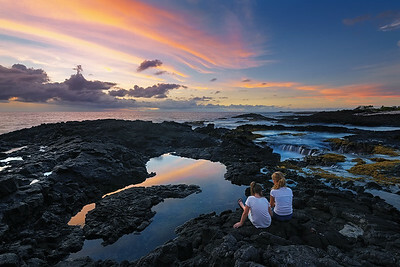 Fellow photographer Chris Johnson's daughters enjoying nature's free light show on the Kona coast of Hawaii. 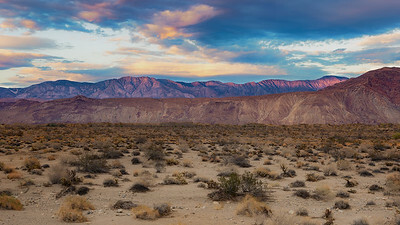 October 8, 2017. 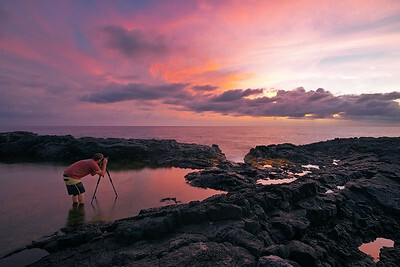 “Chasing Light” This is an image of photographer Christopher Johnson (https://500px.com/fromhereonin) chasing the quickly changing sunset light on the Kona coast of Hawaii Island. 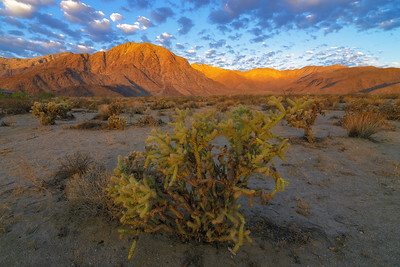 Photo of me (Mark Rogers) looking for a place to set up my tripod and camera. 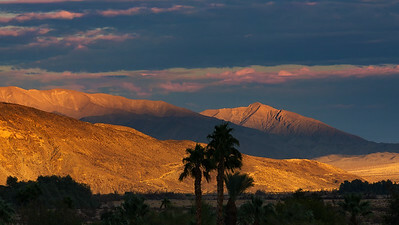 Taken by Christopher Johnson. 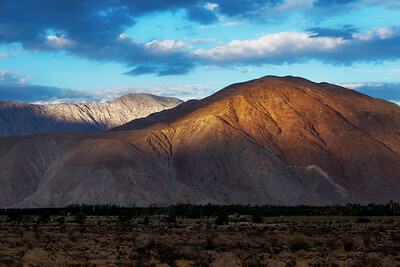 October, 2017. 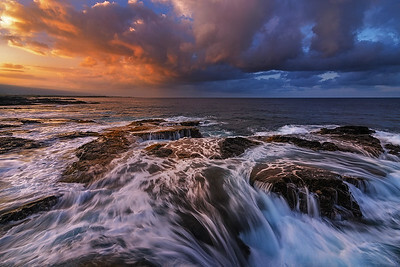 Kona, Hawaii. 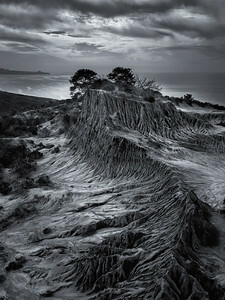 Torrey Pines State Park. La Jolla, California, November 2017. 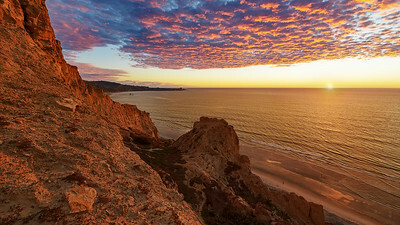 La Jolla’s famous Blacks Beach captured from the edge of its high cliffs during a golden sunset. 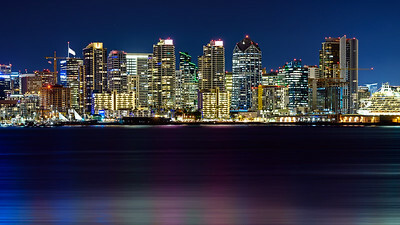 Panorama of the San Diego skyline combined from multiple images. Shot from in front of the exclusive Island Prime restaurant on Harbor Island. 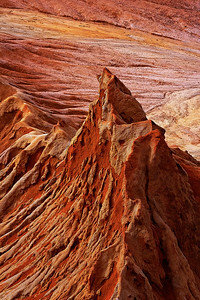 Abstract detail of weathered sedimentary rock found in the coastal badlands of Torrey Pines Park in La Jolla, California. 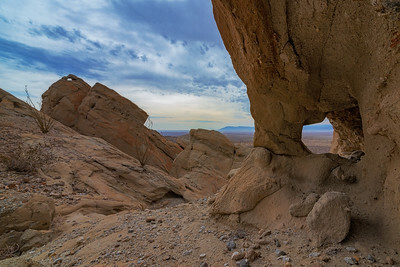 Sometimes the most interesting landscape is found below our feet, though it be more Martian than Terrestrial. 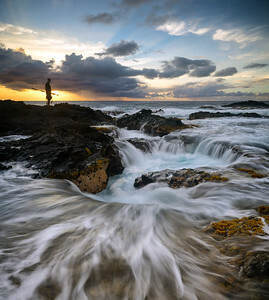 Keahole Point coastline, Hawaii Island, January 2017.